Published: 2013-06-12, by Ana Gracia. "Don't let her lose the Cafe!" Cinderella owns a cafe that it isn't working smoothly. 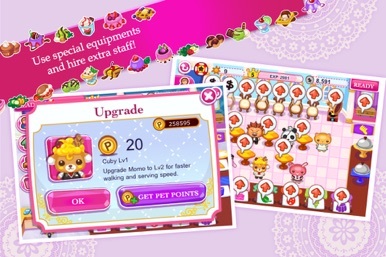 She needs Cuby and his friends to help her manage the cafe and have a successful career. Your goal is to help them all and restore the cafe to its former glory. The game doesn't include a tutorial, but it's pretty simple to get the hang of it. Simply tap on the little people who're in need for something and then attend their needs before they live the coffee shop angrily. Just click and drag them to their correspondent places in order to keep the customers happy. Pass the levels and get coins in reward for your good work. 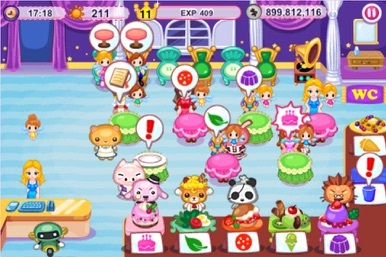 Animoca is the developer of Cinderella Cafe, Pretty Pet Salon and other fun management games. 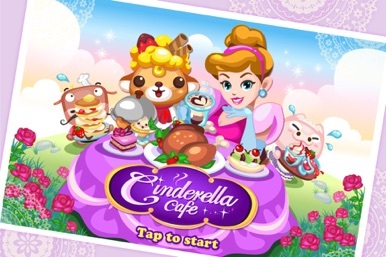 If you like girly apps and time management gameplays, download and start preparing the best meals in Cinderella's town. Have fun with Cuby and his pals once again! It's time for a new adventure in Cinderella Cafe! While on vacation in the the faraway land of Fairy Kingdom, Cuby and his friends meet the beautiful Cinderella, who runs an enchanted cafe for the princess. But business hasn't been going well for Cinderella, and it's only with the help of the kind-hearted bunch that her cafe can be saved! 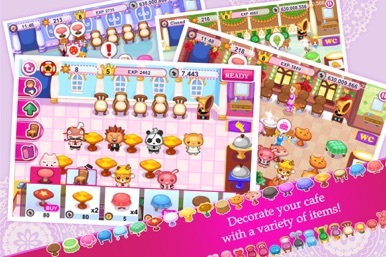 Help Cuby and his friends restore the legendary cafe to its former glory! Take on the challenge using your speed, skill, and quick thinking, and bring back what Cinderella Cafe was best known for — great food and fast, quality service! - VIP Day! 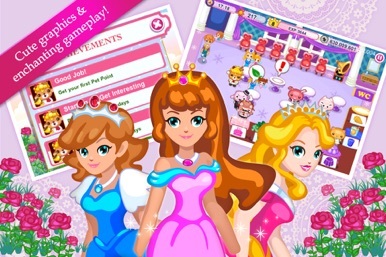 Make more money by serving three beautiful princesses only on the VIP Day. It happens in every 30 days. Are you ready for the challenge? Run, jump, battle, and fly your dinos to the finish. Lions taming dinos may not be exactly historically accurate, but who cares when it's awesome?! Win the trifecta of crystals in three games of skill in Unilever Inc's DinoTerra. In Dino Run, ramapge your way through a jungle course thick with obstacles and littered with diamonds to beat the CPU -s….